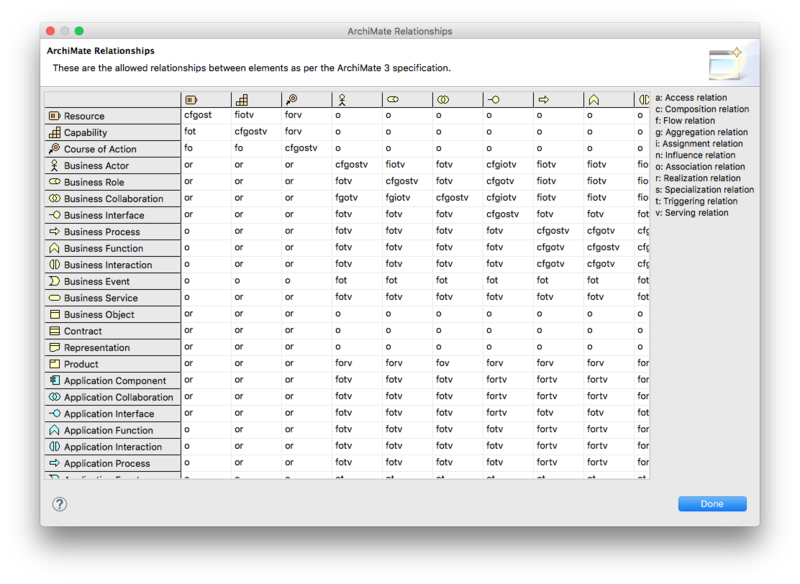 Add ArchiMate 3.0.1 relationship tables – This updates the ArchiMate relationship rules in accordance with the latest revision. Thanks to Ed Roberts for generating the XML file. Faster load times on large models – Models now load much faster, in some cases up to 4000% faster. Implement “Copy As Image to Clipboard” for 64-bit Linux – This has never worked for 64-bit Linux Archi. Until now. Provide 64-bit Windows builds – These 64-bit builds ensure that users with high application memory demands can scale as necessary.